The term ‘creative economy‘ has become a key word in developing regions across Asia. Originating from the term ‘creative industries' in the UK via its Department of Digital, Culture, Media and Sports, the policy interest in developed Western countries has, in the last decade, been seized on by developing countries and regions in Asia and South-East Asia. Thanks, in part, to the diplomatic work by the British Council and global agencies such as UNESCO and UNCTAD. If China was not the first in the region first to properly adopt and modify a country-specific creative industries development policy – South Korea and Singapore were there first – it has certainly taken it up like no other. China is focusing on building the economic outputs of a range of highly commercial cultural sectors and linking these increasingly to real estate development at the local city level in order to elevate productivity and enhance domestic consumption. The Chinese model has been studied by its close neighbours with similar and divergent outcomes. Most of these countries are still playing the catching up game in order to alleviate poverty and enhance the level of education to join the ‘creative class'. The creative economy model doesn't work in places where cultural consumption is low, or where government is unable to invest at high financial levels. Culture in these countries often comes not as a key economic indicator but as mixed in with a range of different social and political agendas. In Indonesia, culture is often referred to an anthropological sense of ‘a way of life'. Economic development led by creativity might, somehow, carry this wider culture with it in its wake. 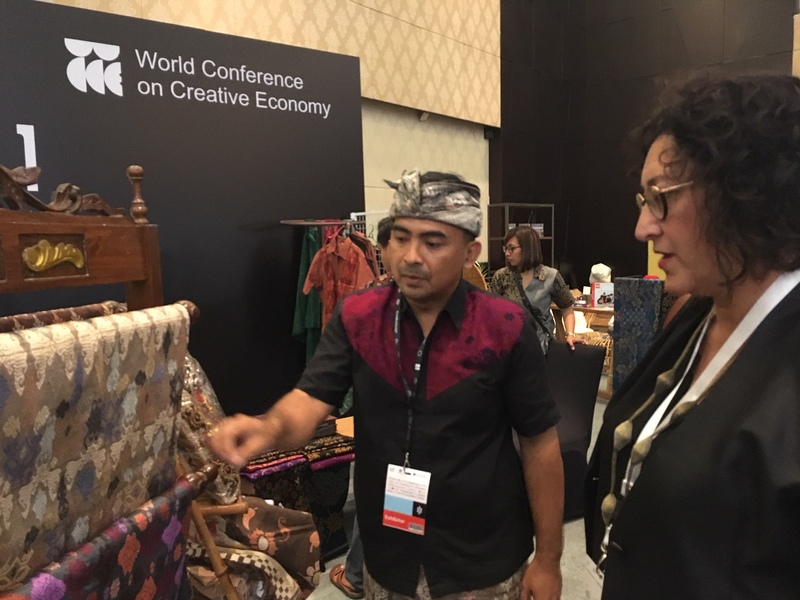 At the First World Conference on Creative Economy (WCCE) took place in Bali, Indonesia last week, that the term ‘creative economy' was adopted in place of ‘cultural economy' could be seen as an evidence of this aspiration. According to Indonesian Agency for Creative Economy (Bekraf) charged with developing the sector for the Indonesia government, ‘creative economy is the materialisation of added values from an intellectual property born of the human creativity, based on science, culture and technology', and the sub-sector are architecture, interior design, visual design, product design, film, animation and video, photography, crafts, fashion, applications & game developer, publishing, advertising, TV and Radio, performing arts, fine arts and culinary. Indonesia, like many other developing countries, is now looking for economic growth through the reinvention of what it categorises as ‘creative'. After all, it's an attractive proposition, which country wouldn't want that? But the route taken has its own peculiarities. There was never only one way to success. In fact, we are constantly told that ‘success' itself depends on where you are speaking from. This is clearly the case in the Indonesia context. Unlike the Chinese creative industries agency, Bekraf works on a range of social value laden initiatives from providing training to kids from lower socio-economic background (e.g. ORBIT and IKKON) to investing in digital platforms to help local communities reach global markets (e.g. BEKUP). Highly commercial projects like ‘creative clusters' were not mentioned once during the conference. 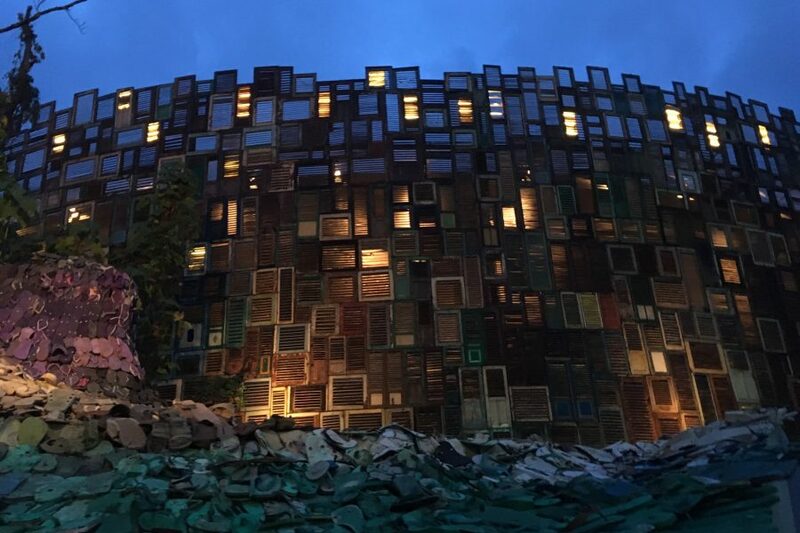 It might be that Indonesia has a different urban context for creative industries. In fact, statistics from the country show that the rural plays a key role in sectors such as craft and tourism. It is also possible that this is the way for a country that has always developed culture away from global market rules. The tourism industry has always been here, women from rural villages have always weaved baskets in this way and sold them to tourists. Over 96% of the businesses in Indonesian creative economy are categorised as informal because they are not registered as businesses. So what can the ‘creative economy' bring to the country then? The “digital” apparently. The apps that can link the village makers to global markets, through which an alternative image of Indonesia can be pursued – one that's more forward thinking, more youthful, more futuristic, one breaking away from the old perceptions of Indonesia. Perhaps the politicians are right this time. 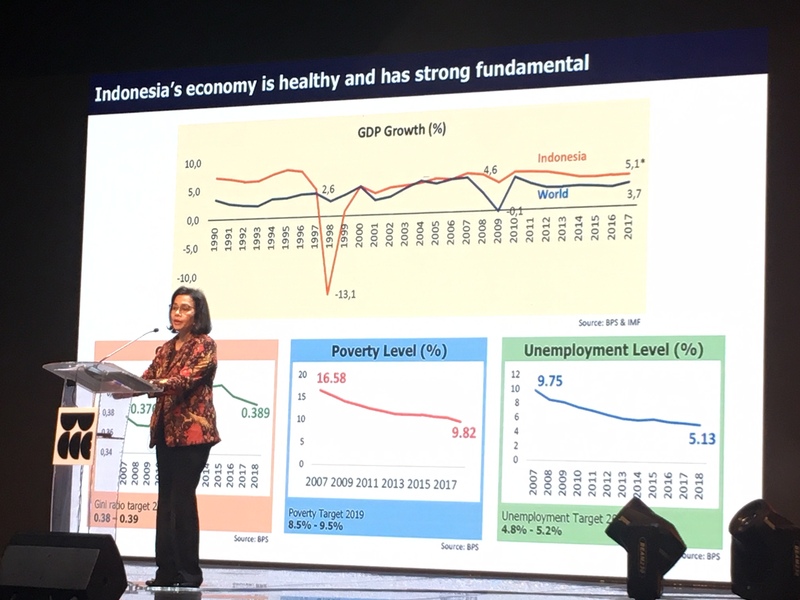 One fact that has caught my eye throughout the WCCE conference was that Indonesia Creative Economy was dominated by women (54.96% in the creative workforce). This puts many developed nations to shame where creative economy remains to be one of the most socially exclusive industries in these societies. It is refreshing to hear stories from women who found their places in the digital media sector from the comfort of their home through initiatives like ‘Coding Mum'. In the West, whilst we are scratching our heads over de-industrialisation, over how to upskill so that redundant manufacturing workers could be turned into designers and computer programmers, Indonesia seems to have provided an answer to that problem. These social initiatives fuse well with cultural and creative industries here because the creative industries have always operated in communities away from global market interference. They were always about the livelihood of local people and local knowledge. From its onset, Bekraf understands its role as more than an economic development agency and is concerned to bring social development into the core value of the creative economy. 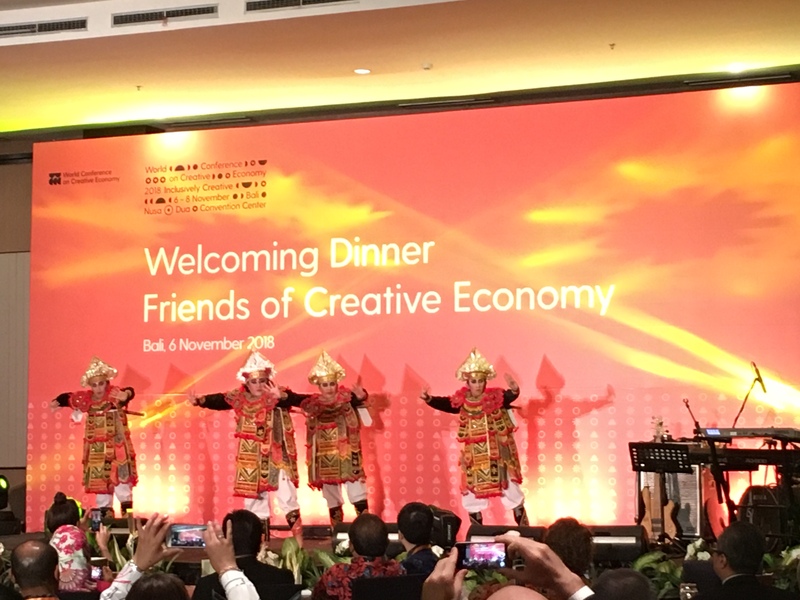 Indonesia's creative economy strategy was developed in the context of the Global Financial Crisis and, latterly, the trade war between China and the US. Hence it is phrased in the language of economic outputs, market resilience and trade. But one doesn't have to dig much deeper to understand where the energy comes from. It doesn't come from a top down planning authority aimed at promoting a new sector out of nothing. It doesn't come from external market pressure. It comes from within local communities. This is still early days for Indonesia's creative economy strategy. But it has to be a strategy that other wannabe ‘creative nations’ will have to take seriously. We've seen how a purely economic development program in this space has frequently swallowed cultural values; on the other hand, we have also seen a conservative culture sector suppress innovative culture springing from the informal and small scale commercial and not-for-profit sector. The Indonesia case points to why culture cannot be reduced to economy, and it highlights other social and cultural values that may need to be included in any development of ‘creative economy' (or whatever term du jour is being used).